Well finally I've found some time to work on some fun projects. One of them is this fun purse I made from a Stampin up journal. 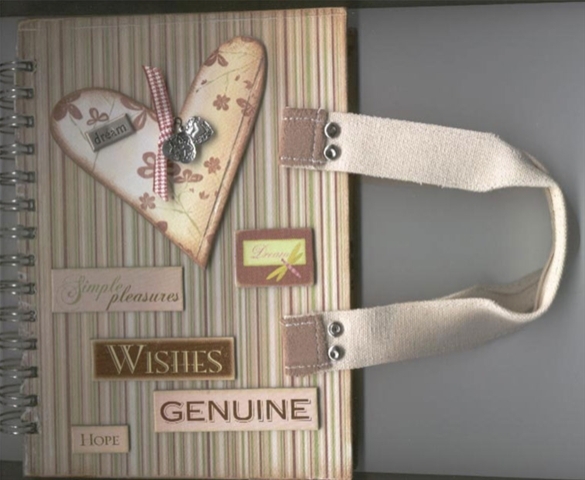 I added the 7 gypsies handles and chipboard from both Stampin up and 7 gypsies.